No … don’t worry – the Easter spamming continues (and can you blame me? 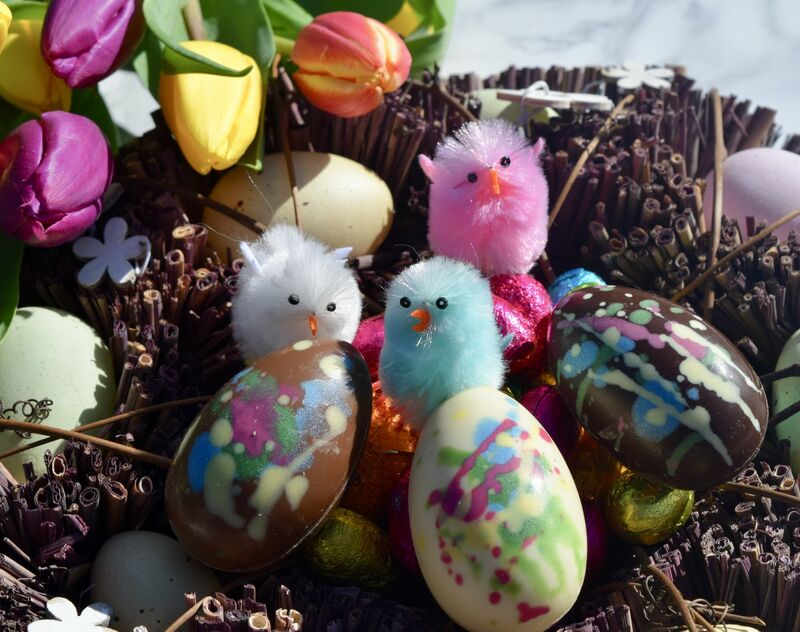 It’s got to be the cutest holiday) with M&S’s stunning Hand Decorated Hollow Egg Trio. A perfect little addition to any table this weekend, these are both stunning as well as delicious! Each egg in the line-up is a different type of chocolate – milk, white and dark, so even the fussiest diners will be accommodated. As you would expect from M&S, these are the yummiest of treats, but I’m also absolutely obsessed with the stunning hand decoration. 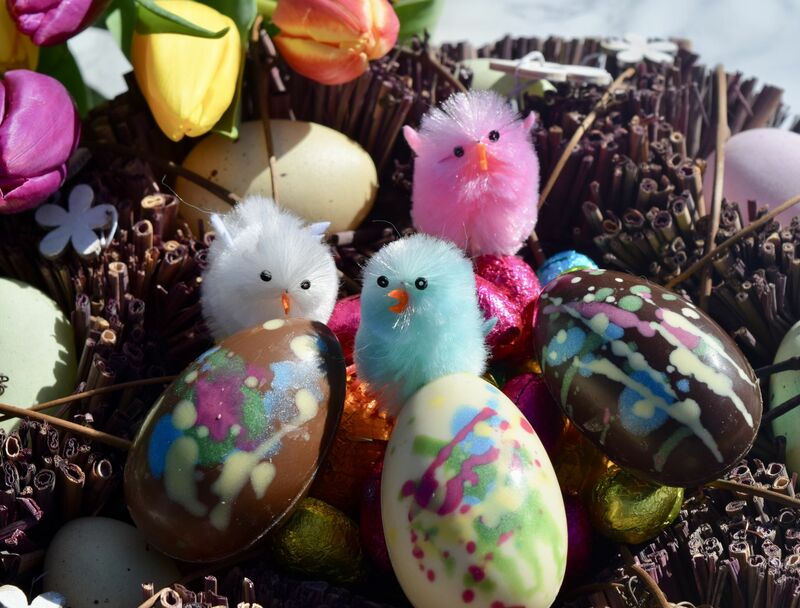 Each of the eggs have been hand-decorated with flashes of colour, making them mini works of art. Clustered together they make an eye-catching arrangement, whilst paced on an individual place setting creates a chic statement. 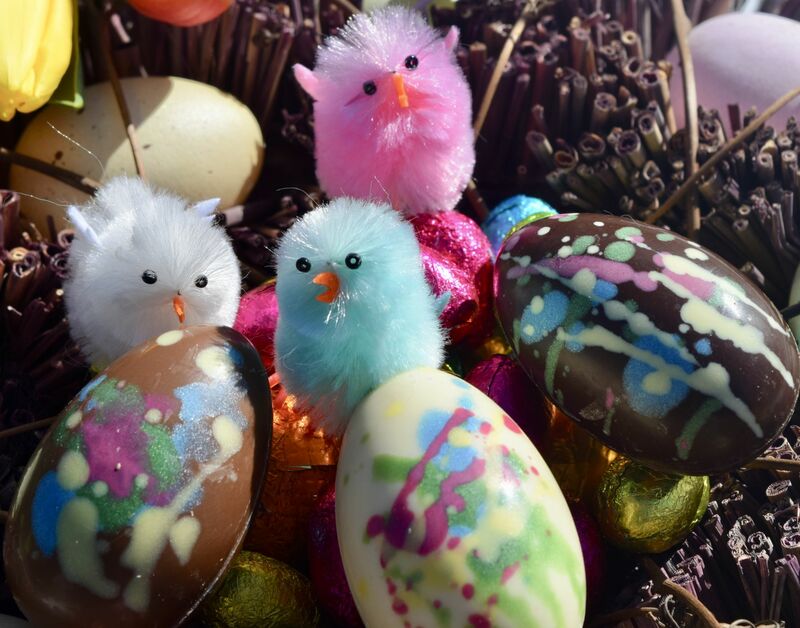 The colours also match up perfectly with my fuzzy little chick decorations, so who could resist?